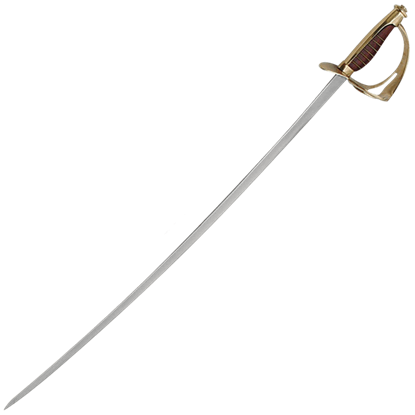 The Decorative Swords category here at Buying a Sword contains every ornamental sword available on the site. 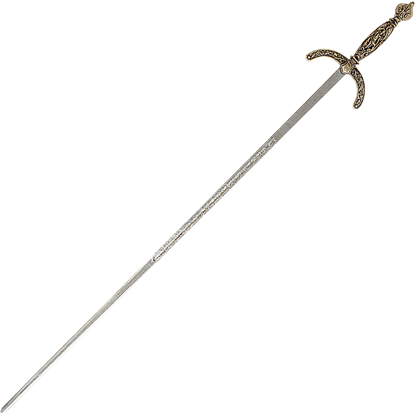 These collectible weapons are crafted with attention to detail by top manufacturers like Marto, Art Gladius, and Denix, often featuring precious metals, gems, engraving, sculpted handles, and other embellishments that make them ideal for display. 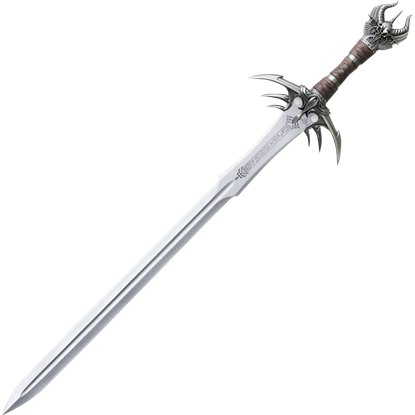 A number of these excellent decorative blades are licensed swords, including a number of designs from Lord of the Rings, Game of Thrones, Conan the Barbarian, the Legend of Zelda, and other popular media. 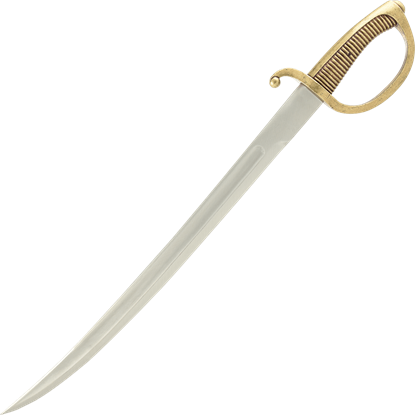 These ornamental blades come in many styles, including ceremonial sabers, fantasy swords, gladiator swords, musketeer rapiers, Scottish claymores, pirate cutlasses, Excalibur replicas, Egyptian khopeshes, and many more. 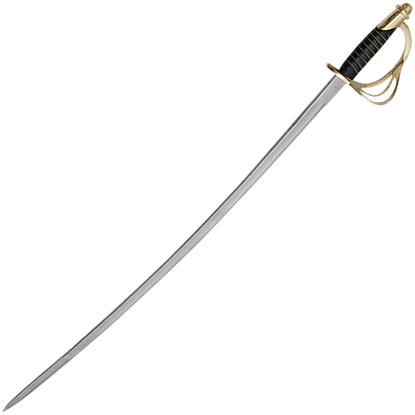 Whether you want a costume sword for a re-enactment or performance or fantastic display sword for your home decor or wedding, you can find a large number of options here at Buying a Sword! 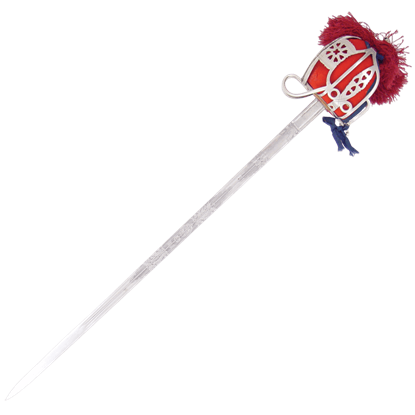 Designed to resemble Italian side swords used during the Renaissance period, the 17th Century Decorative Italian Sword is a spectacular decoration for the home or office to display your interest in the Age of Enlightenment. The 1851 Pattern Basket-hilt Broadsword was standard officer issue in the Highland regiments from Victorian to modern times. It has an etched blade with the George V cipher. The red basket liner and pommel make it an attractive piece. Employing fine Venetian styling, the 18th Century Decorative Italian Sword is an exceptional decor piece for those who enjoy the appeal of historical weaponry. 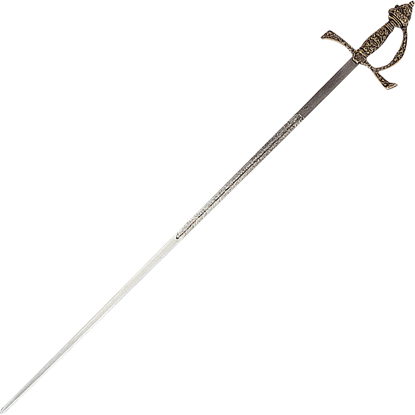 This sword emulates the appearance of side swords used in the 18th century. The Freemasons gave the Masonic Sword as an award of rank and merit. The engravings on the sword and scabbard displayed the symbols of the movement. 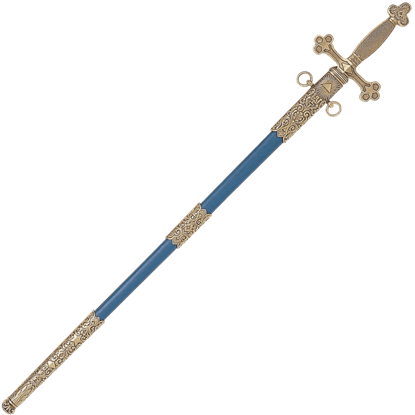 This replica faithfully reproduces the detail of a Masonic sword of the period. 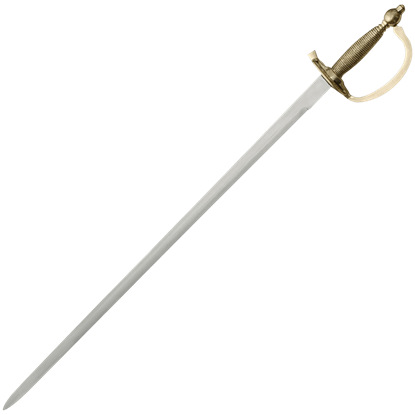 The Cutlass was a short slashing sword, ideal for close quarters battles aboard ships. The cutlass was issued to the Naval personnel of many countries, and this piece by Denix replicates a French naval style of the early 19th century. Does the old adage of two being better than one apply to swords, just as it does to heads? Yes it does! 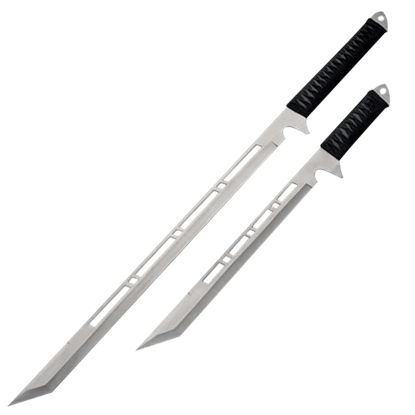 This 2 Piece Silver Ninja Sword Set puts a pair of straight-edged blades into your hands that add modern style to the ninjas weapons. 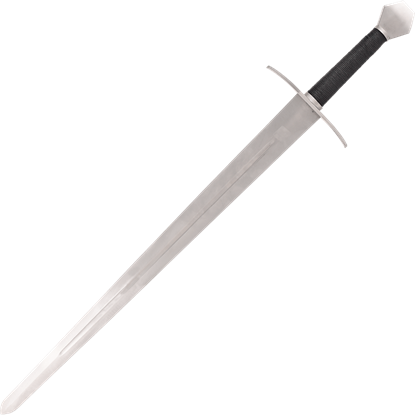 Gladius Medieval style swords like the Agincourt Sword have 440C stainless steel blades that are fully tempered, but they are primarily intended for use as collectibles and decorative pieces with their eye-catching details. Gladius Medieval style swords like the Agincourt Sword with Scabbard have 440C stainless steel blades that are fully tempered, but they are primarily intended for use as collectibles and decorative pieces with their eye-catching details. Designed by renowned fantasy artist Kit Rae, Anathar the Sword of Power is the tenth and most powerful of the ornate decorative blades from his epic mythological tale, The Tale of the Swords of the Ancients and Other Blades of Power.